Happy Holidays from Major Mom! 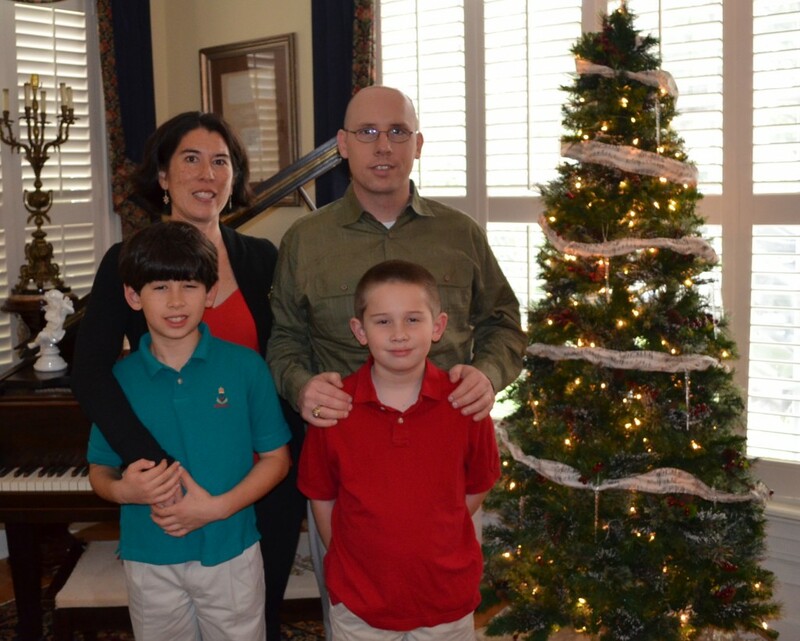 Happy Holidays from Major Mom and Family! Okay, okay, so I’m a bit behind here. 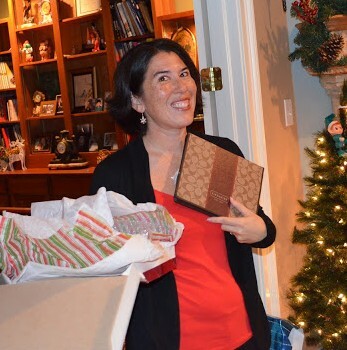 I guess so — the house was decorated, trees trimmed, gifts were purchased and wrapped, cards made and sent out, and we made it to everywhere we were expected to be this season — with White Elephant gift exchange gifts as needed. I was pretty tired by the time the kids started their holiday break on the 18th. It was non-stop from the week after Thanksgiving. Why is it like that? It seems to get more and more exhausting and busy, perhaps because the kids are getting more involved? I try not to let it get me down, but it’s hard not to. Things got to calm down once the kids were out of school, and we were able to host a lovely holiday open house on the 21st. This is something Dave and I have been able to do almost every year since we moved to North Carolina in 2005 — when he was a grad student at NC State, Dave had the idea to invite fellow students over for some home-cooking finger foods and desserts. He had a lot of younger guys in his lab who rarely cooked for themselves. By the time we left North Carolina, it had grown into a full-fledged “invite all of our friends” shindig and we now feature cheese and chocolate fondue. This year was probably the most popular one we’d ever had, and it was bittersweet because it will be our last one on the Florida Panhandle. (We still don’t have official word on our next location). We enjoy having an “open house” every December. Sort of like a Christmas gift to our friends…. A couple days later, we packed ALL the family Christmas gifts into the truck and headed down to Dave’s brother’s place in Tampa. It was a nice drive down, and we enjoyed a couple days with Dave’s family. 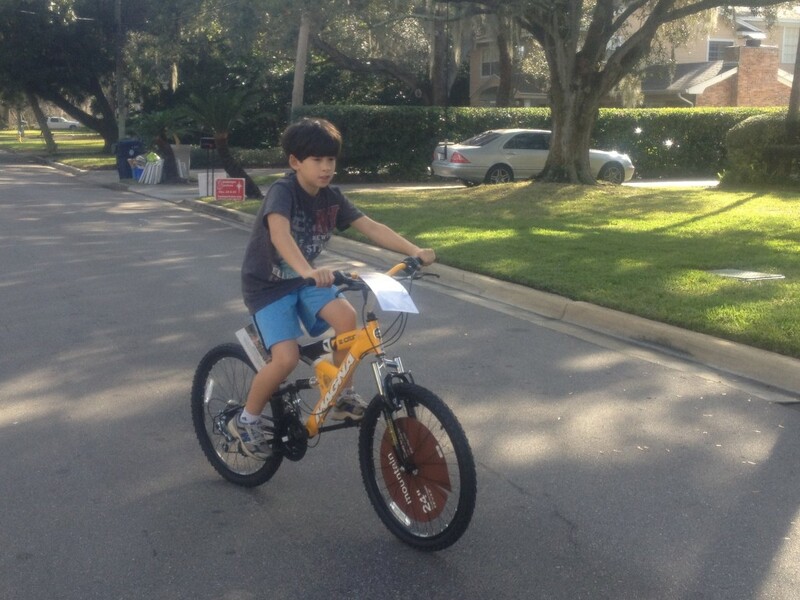 We bought a bike for Jacob — the plan was to pick up the bike in Tampa somewhere, present it at Christmas, then drive it home. 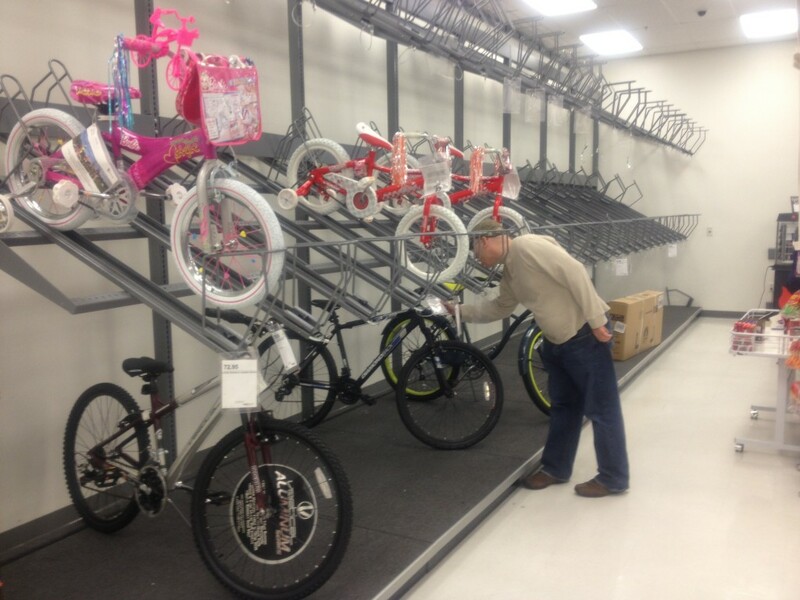 We were able to get the last 24″ mountain bike at the Target right up the road off Dale Mabry Highway. Here’s the bike! Poor Jacob is in between sizes of bikes, a 20″ is almost too small, this bike is barely fitting him. But give him 6 months and it’ll be perfect! As for Timmy, he was happy with his assortment of toys, board games, stuffed animals and video games. 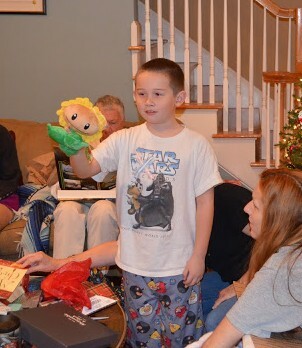 Timmy’s stuffed Sunflower from Plants vs. Zombies was ordered from Thailand! 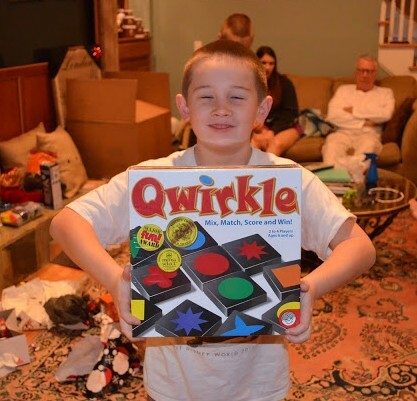 Grandma and Grandpa got Timmy a bunch of brainy games, such as this one, Qwirkle, which he plays at school. 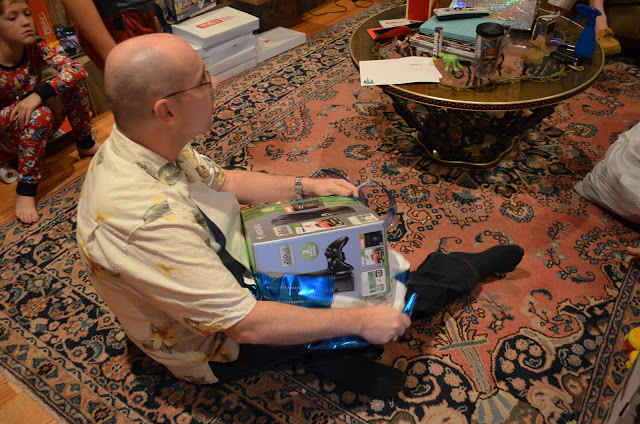 Dave is loving his new X Box, which he got not only as a Christmas gift, but also a reward for being just about finished with Air War College this month! He had been denying himself video games and most pleasure-reading books for the past TWO YEARS! As for me, I was pleasantly surprised by a beautiful Pandora bracelet with the kids’ birthstone charms, and this Coach iPad case. I hope you had a nice holiday also! Stay tuned for our pictures from Legoland!